Kira Dikhtyar is not only an international model, but a former Olympic gymnast. Born in Moscow, Russia, Kira at the early age of six became involved in rhythmic gymnastics. She joined the Russian Junior National team at the age of 13 where she was mentored by legendary coach Irina Viner. Kira then went on to win a Gold Medal at the Junior Olympics in 1998. During her time as an award winning Russian athlete she was scouted by a top international agent who helped jump-start her modeling career by bringing her to the United States where she was immediately signed with one of America’s Top Modeling Agencies. Kira was featured in a variety of sports ads like NIKE, that lead her to her first fashion campaign as the face of Abercrombie and Fitch shot by renowned fashion photographer Bruce Weber. Kira has since been featured in Vogue, Glamour, In Style, GQ, ELLE, Vanity Fair, Cosmopolitan, Noise, Marie Claire, FHM and Maxim and photographed by some of the top fashion photographers around the world such as Partick Demarcelier, Rankin,Tony Duran and Francesko Carrosini just to name a few. 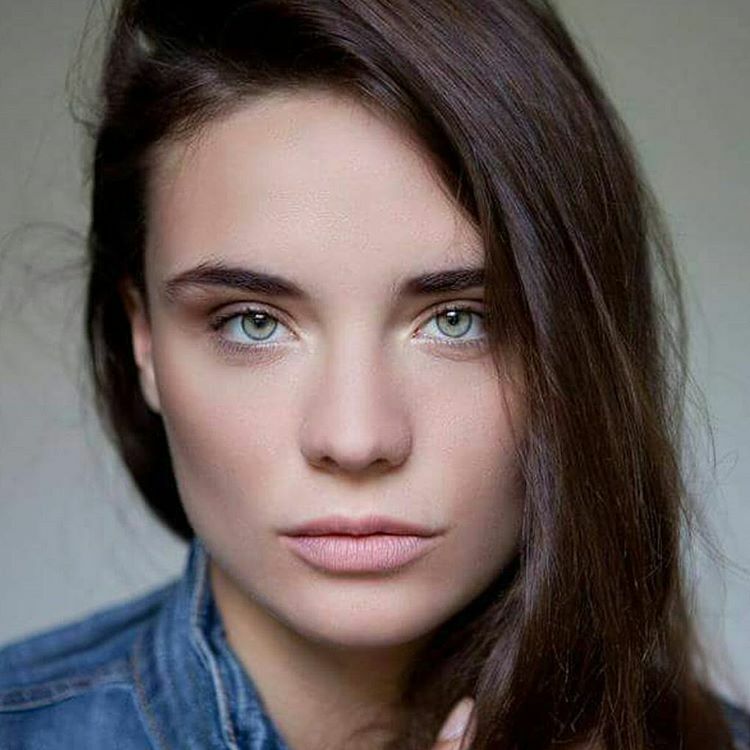 In 2014, Kira will compete in the Oxygen Network’s hit modeling competition show THE FACE along side seasoned models Naomi Campbell, Anne V and Lydia Hearst, catapulting her to US national fame as she will be on TV in households across America. Kira Dikhytyar has the ability to move in ways that defy all logic. The gold medal gymnast-turned-model-turned-actress and soon-to-be-author was born in Moscow, Russia on March 17, 1989. Like most Russian mothers, her mother enrolled her in the country’s national sport, rhythmic gymnastics, but not until the age of six. That is considered too late and a disadvantage by most gymnastic standards. But not for the astonishing Kira. In just five short years at the age of 11, she became part of the Moscow team, and by 13 she was a member of the Russian Junior National team — the best gymnastic team in the world for the last 30 years running. Her exceptional ability earned her a Master of Sports degree, the highest sport degree in Russia, and she was soon traveling the world and winning gold medals in international competitions. Her mother and her coaching team had created a superstar. Her physical prowess had served her well, but it was her equally amazing intellect that earned her an academic gold medal and a diploma from Olympic Reserve School, which resulted in a scholarship to Moscow State University on a government scholarship program — this was no small feat even for a natural champion like Kira. But Kira had dreams of Hollywood. So at the age of 16, she left her scholarship behind and took off for America to become a model and actress. Both her gymnastic ability and mind blowing flexibility didn’t go unnoticed and immediately set her apart from all of the other aspiring starlets. Her first break was securing a role in a TV series for Fashion TV. But it was her modeling career that took off first with an Abercrombie and Fitch campaign shot by famed photographer Bruce Weber. This immediately landed her on the “modeling map” and as fate would have it, she got noticed by Patrick Demarcelier, Ellen Von Unwerth and a bevy of other world renowned photographers and soon began to grace the pages of Vogue, Elle and Cosmopolitan on a regular basis. Her status as a top model was official. Her modeling career took her around the world with work in Paris, Milan and London where she began shooting major international editorials, appearing regularly on billboards and in international ad campaigns. She eventually landed a commercial contract with a major electronics company. She was riding the wave of her modeling success, but she still wanted more. She wanted to be an actress. So with fierce tenacity and a little luck, she landed the lead role in a teenage comedy and three additional roles followed. In her typical unstoppable Kira fashion, she accomplished her goal. She was now a working actress. Not bad for a Hollywood rookie, as they say. Now that her movie career has taken off, you can expect to see Kira’s star continue to rise. With the trademark determination and hard work she learned through her gymnastic experience, Kira has created a life for herself that most people only read or dream about; so she has decided to share her journey with the hopes of inspiring others to follow their dreams. Kira resides in both New York and Los Angeles, continues to work as a top model and regularly visits her family in Moscow whenever possible.